Whilst the current trend for vintage West German pottery is almost exclusively aimed at the ‘Fat Lava’ genre and the factories that produced outlandish designs, some great designs can be found from unexpected makers. 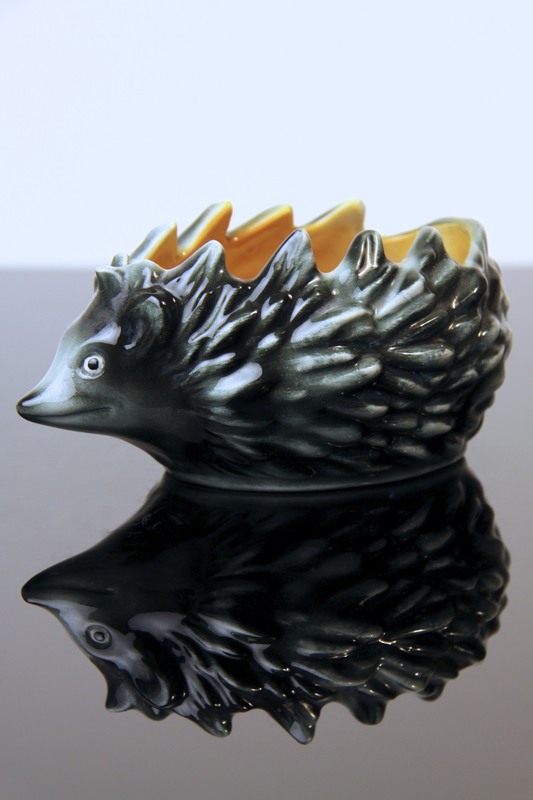 Such as this lovely Hedgehog dish from Goebel Porzellan, known predominantly for their Hummel figurines! This is a very stylish Mid-century animal figure that would quite happily sit alongside its ‘Fat Lava’ contemporaries in a collection, and would complement the similarly styled Walter Bosse brass figures.